Have you ever woken up to the sound of your friend inviting you to a show of a band you’ve never heard of, only to attend and find out she wasn’t going to show up? I did, but at least I got myself some meaty death metal makers to follow. But how could they possibly have managed even a reasonably noticeable full-length in such an over-saturated genre? Sometime after discovering the art of music, man discovered a harsh truth: it’s much harder to make good music than bad music. Soon, man discovered another harsh truth: it’s even harder to make good music if you’re trying to make music like the music created by predecessors you so admire. You need to be either instantly recognizable or the best at what you do. When listening to the simplest and most overdone styles these facts become most prevalent. Whether you’re playing stripped-down blues or meat-and-bones death metal, you generally have to be pretty stellar to gain recognition. If you happen to play the latter, utilizing war-themes and mid-tempo isn’t going to help you very much. Shrapnel Storm happens to be a war-themed, meat-and-bones death metal Jagpanzer. About as subtle and graceful as a tank. But surely as the tracks keep moving the band keeps grooving, seemingly over any obstacle. If you’ve ever paid attention to me you may have noticed that I’ve written a thing or two about them before. Their demos have been good, but somewhat inconsistent. Now we have a full-length in our hands. As expected, the songs move mainly in mid-tempo and almost ten years of existing (apart from the new drummer, the line-up has been intact since 2011) have left the band a tight unit. There’s plenty of groove on this record, but that doesn’t mean nauseating nu-riffs. The drums and bass groove like any good rhythm section should; even when the rest of song doesn’t. 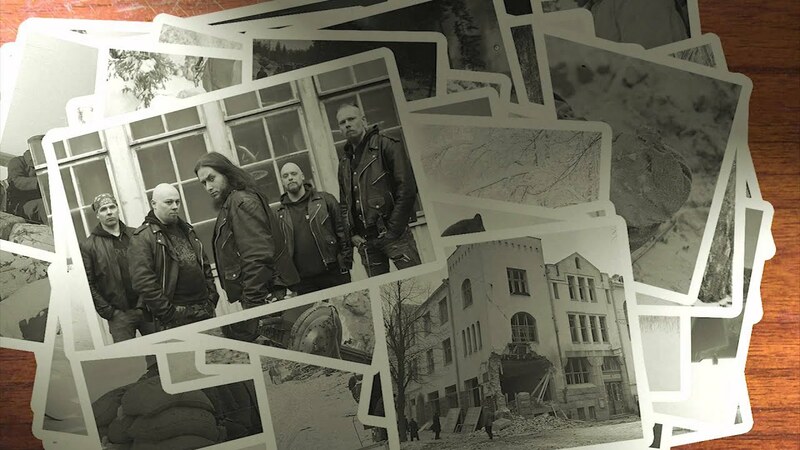 Now, I know I’ve probably made this claim one too many times when writing about Shrapnel Storm – so much, in fact, that I pledge never to do it again – but these guys are serious contenders for Bolt Thrower‘s throne, now that they won’t release any more albums. I know many would argue that throne would belong to the great Hail of Bullets, but with Mother War, Shrapnel Storm sounds more like the former than anything the latter has done. Everything Mother War loses in originality, it gains back by nearly achieving the aforementioned stellar-ness. There are riffs, a few melodies, riffs, strong low growl, riffs, nice solos (like the one on “Radar’s Down”, played by the underrated Zachary Hietala) and a few more riffs. It may not be the riff-iest damn album you’ll hear all year, but it tries, goddammit. It tries. Only one song on the album has been featured on their previous demo releases and, despite its facelift, “Detracked” feels a tad weaker than the rest. Which further goes to prove a point: This band keeps getting better, and Mother War is leaps and bounds ahead of the rest of their material in quality. As far as the sound of the album goes, Mother War is a well-produced piece of death metal. It’s a rather short album, and the faster songs like “Radars Down” and “Combat High” keep the whole varied enough. Along with the aforementioned songs, the crushing “Carpet Bombing”, “Warfiend”, and the more downhearted “Rising Storm” each prove high points. There is nothing new here – nothing that hasn’t been done countless times before – but this is still one of the finer death metal releases I’ve heard all year. A must get for any fan of the genre.